When you think of a boat, you are most likely think of a smooth glossy hull which cuts effortlessly through the sea. However, the process involved to achieve this requires an expertise skillset, intensive labour and specialised techniques. 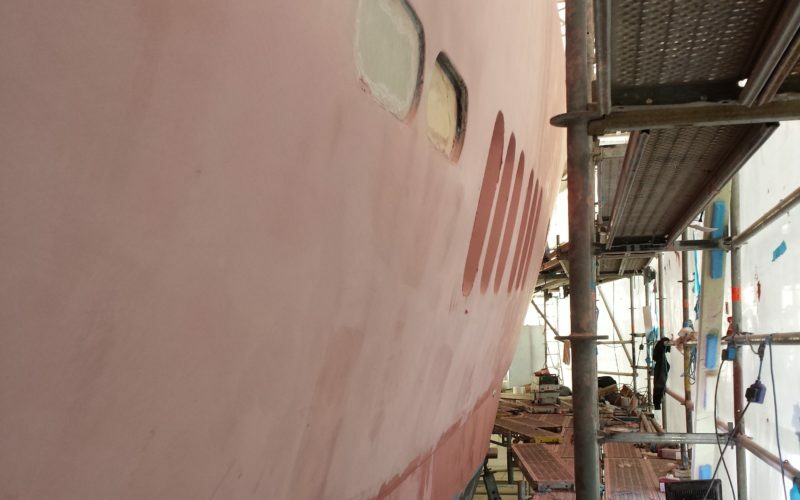 Marine Bodyworkz Ltd use a variety of traditional methods such as longboard sanding alongside cutting edge technology to achieve outstanding results every time. 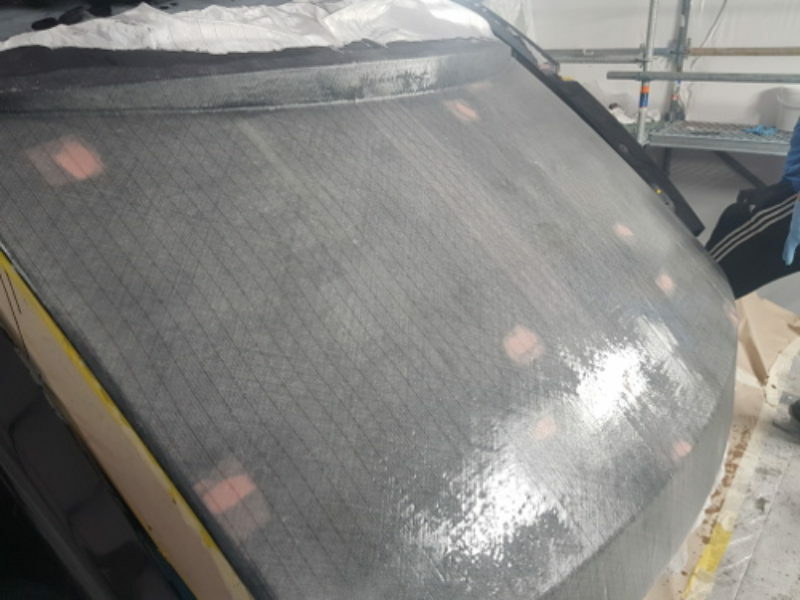 "Filling and Fairing - a meticulous process that leads to a perfectly shaped, stunningly smooth hull. A must for every serious boat owner"
Although the concept of filling and fairing is virtually the same for every boat, the process that each vessel goes through can differ greatly. The makeup of the vessel, materials used, level of fairness (semi or full fair) and the finish required are all varying factors. 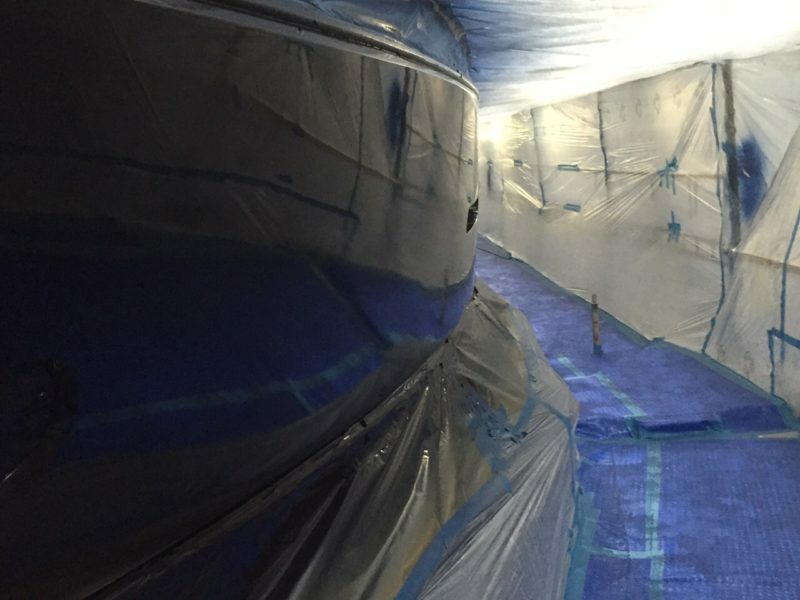 Postcuring is an essential process when fairing a boat. 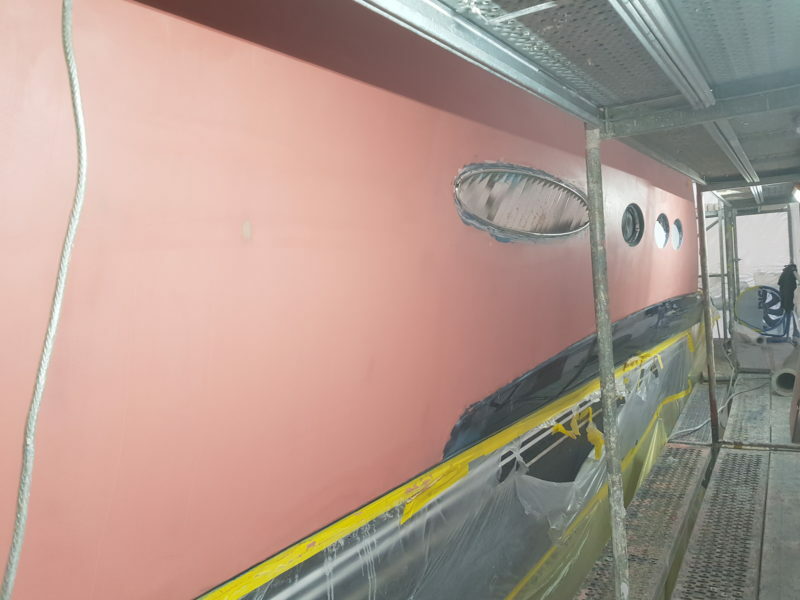 Known as ‘accelerating the cure’, this is a ‘baking’ process that prevents the ‘fill’ from moving and shrinking over time, resulting in an unfaired finish. We always postcure, forcing any movement and/or shrinkage to occur at an early stage. If not postcured, cracks can occur and the faired shape can alter over time. You don’t need to own a racing boat to appreciate the importance of filling and fairing. 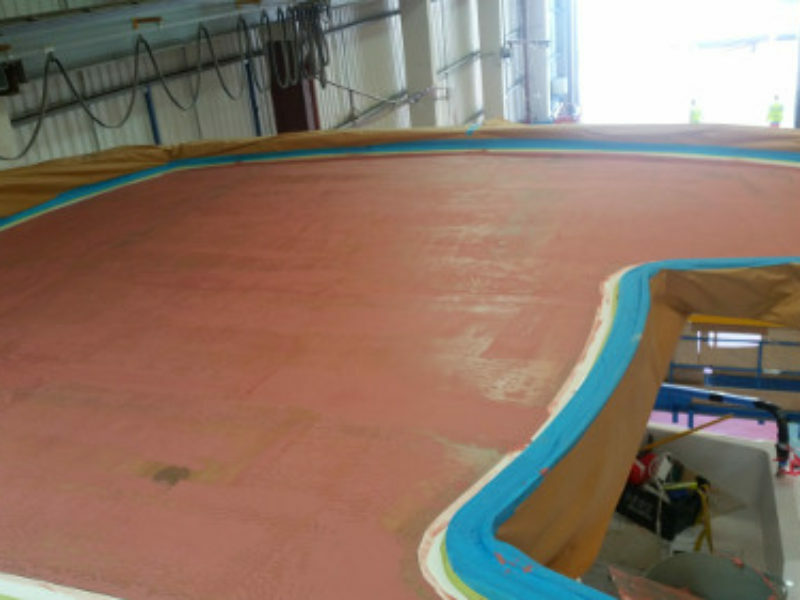 Any part of the boat which is underwater, such as the keel and rudder need to be precisely manufactured to exact specifications. The shape, smoothness and size of every component contributes to the boat’s performance overall and its ability to power it through the water. The process of fairing and filling is one which requires specialist training and knowledge, as well as on the job experience. These skills are vital to Marine Bodyworkz Ltd in creating vessels which perform to their very best capability.